Come See VFPX at The Philadelphia Podcast Festival! 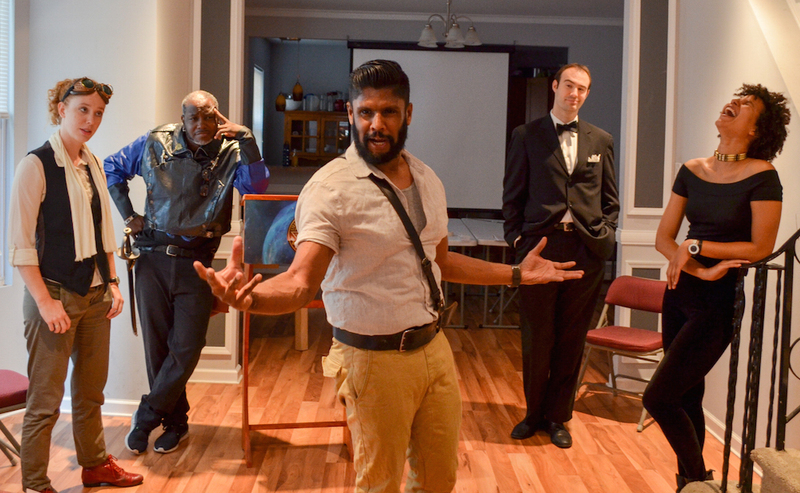 Come out to the first ever live performance of The Voice of Free Planet X in Philadelphia! We're taking over the Art Church of West Philadelphia and turning it into the pulp-tastic headquarters of the End of Time Club for "The Wake of the Lacuna!" When the brilliant detective known as the Lacuna goes missing, its up the remaining End of Timers to make sense of the mystery. Part of The Philadelphia Podcast Festival! and Jared Axelrod as the host of The Voice of Free Planet X. Event is free, but space is limited! The last live event was standing room only! This episode featured music by Kevin McLeod. The Voice of Free Planet X theme is by Russell Collins. Episode art by James Boyle. This episode could not have existed without the performances of Christoper Morse, John Davis, Alasdair Stuart, Graham Wamsley and the support of listeners like you. You can support the Voice of Free Planet X at patreon.com/axelrod. Extra special thanks to Mildred Cady and Marnen Laibow Kaiser for translating the Comrade Cockroach and Ursa Major dialogue into Russian. If you have any problems with it, it’s my fault for pronouncing their amazing work poorly. 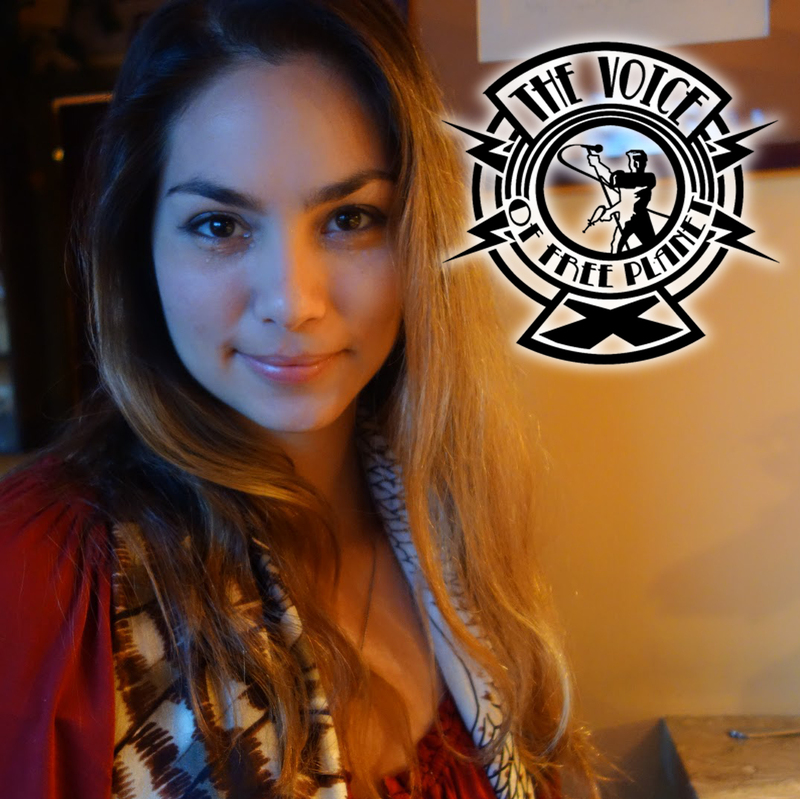 The Voice of Free Planet X internet commander is Katie West. 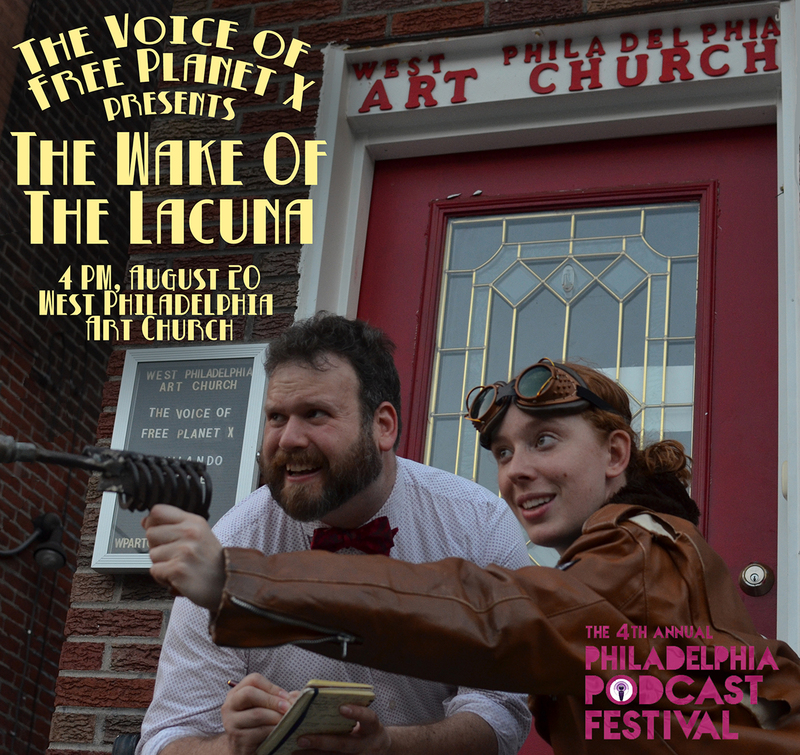 "The Secret Origin of Comrade Cockroach"
Come see the live show, "The Wake of the Lacuna," on August 20 as part of the Philadelphia Podcast Festival. Sign up for the Voice of Free Planet X newsletter, Facebook, Snapchat, Twitter, Instagram at planetx.libsyn.com.